A dollar and a dream. No seriously you can make it happen with a small or large income but come with the mentality to hustle and grind. Moving to a new city can be very challenging but sis you got this. I receive so many questions about my move from Jersey to Atlanta so here is my 4 scenarios. Sis if you land a job before the move its lit! If your company is covering relocation fees you’re ahead of the game. If you found a job that doesn’t cover relocation fees that’s fine too. Your main focus will be how much furniture you will be taking and if you want to just start over. Keep in mind you can sell a few items for some extra cash that can contribute to your move. 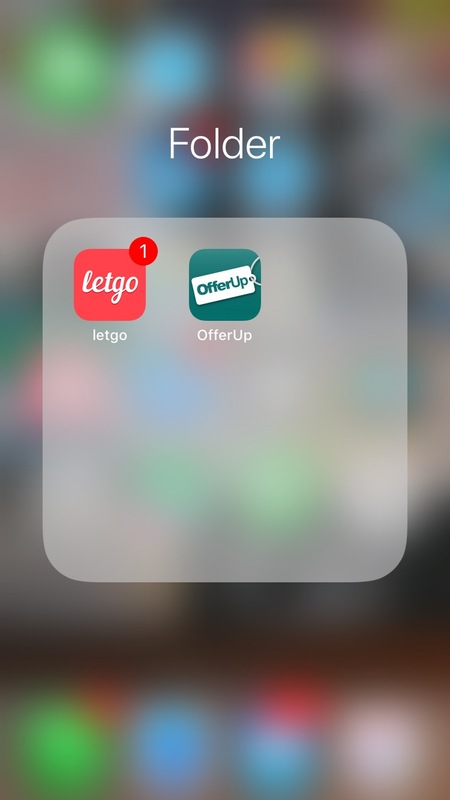 I sold my furniture on a few apps such as “Let Go” and “Offer up”which is very user friendly and allow you to connect with buyers and sellers near you. If you're moving from outside the U.S let go wouldn't work for you. After I sold all large items I packed my entire vehicle with everything else. No I didn’t rent a truck or van that would have been costly because of the distance of travel. I’m cheap sis. This was your girl I had no full time salary paying job when I first step foot in Atlanta. I literally came here with a few freelance gigs and then I picked up a side job. Once I lost my car I started serving at Outback Steak House to build up my finances to get another vehicle. Having 3 months of rent saved around $3800 and minimum debt will help the move to be smooth just incase you run into a few hurdles. If you have debt try to clear as much as possible so you don't have the stress of finding a full time position and bill collectors harassing you. Also, keep in mind your first job here isn't the last stop this is something to keep the income coming in while your on the mission to pursue the reason you moved to a new city. This city is filled with many side hustles and content creators so join the team. If your curious about moving to a new city but rather play it safe and move in with a roommate that’s fine too. Many people move here are from different states and may be looking for a roommate. Facebook groups save lives. They have many housing/roommate groups where you can find a roommate or rent rooms for an affordable rate. I would suggest moving to a area near the Marta train and bus lines. if you don't have a vehicle and dealing with Atlanta traffic uber will break your pockets. You may have to settle for a low budget area until you get that salary paying job but its okay because its humbling experience. This was your girl. I hate depending on people especially someone I don’t know. So I took a risk and came to Atlanta 2 months prior to search for apartments. As you know apartments want to see pay stubs so I used my current pay stubs from the job in New Jersey to get around that hassle. I also informed the leasing office that my job would be transferring me to Atlanta which was a lie. Again sis I was a bit more risky nothing was stopping me from moving to this city to chase my dreams. This works for me it may not work for you but once you find a strategy you can make it happen. Come with your survivor mentality, believe in yourself, establish your goals and you can overcome the stereotype of having thousands of dollars to move to a new city. Remember Taraji P. Henson moved to L.A with only $700 in her pocket and a baby. L.A is super expensive so that should be some motivation haha. This may not work for everyone but this is how I survived my first year in a new city.